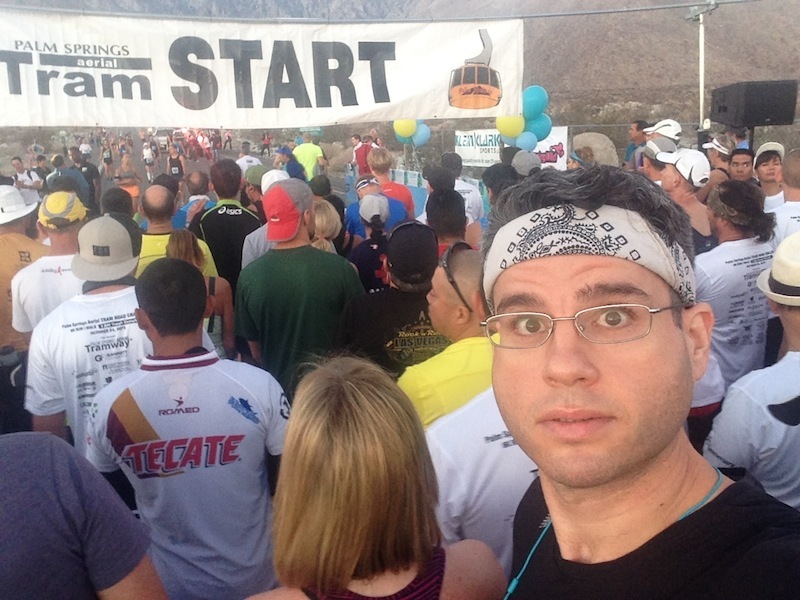 Palm Springs Tram Road Challenge (Race Recap) | Keep It Up, David! SURPRISE! It’s a Race Recap! Ten days ago, I signed up for a race that happened on Saturday. I never mentioned it here. Partly because I didn’t post at all last week (life got in the way), and partly because I didn’t know what to say… it just kinda sorta scared me shitless. Check out the venue, though: how gorgeous is this? That’s actually where the race ended. The finish line was right in front of that building. 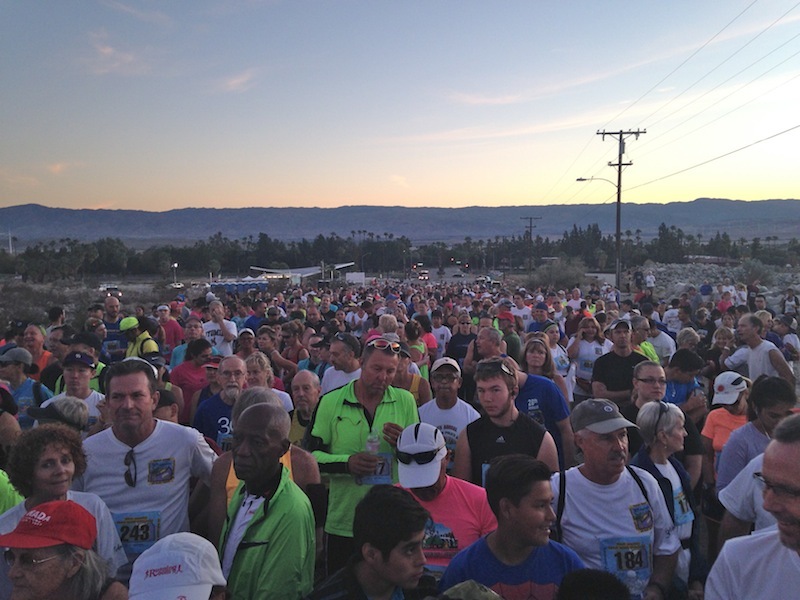 And if you’re guessing that a race in the mountains could be difficult… you’re absolutely right. It was one of the toughest things I’ve ever done. 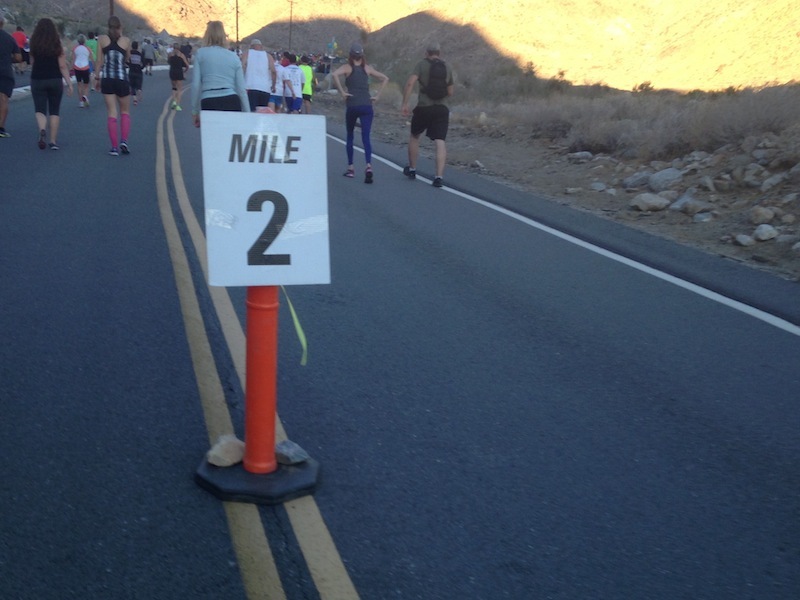 The race was the 30th Annual Tram Road Challenge, in Palm Springs, benefiting the United Way of the Desert. 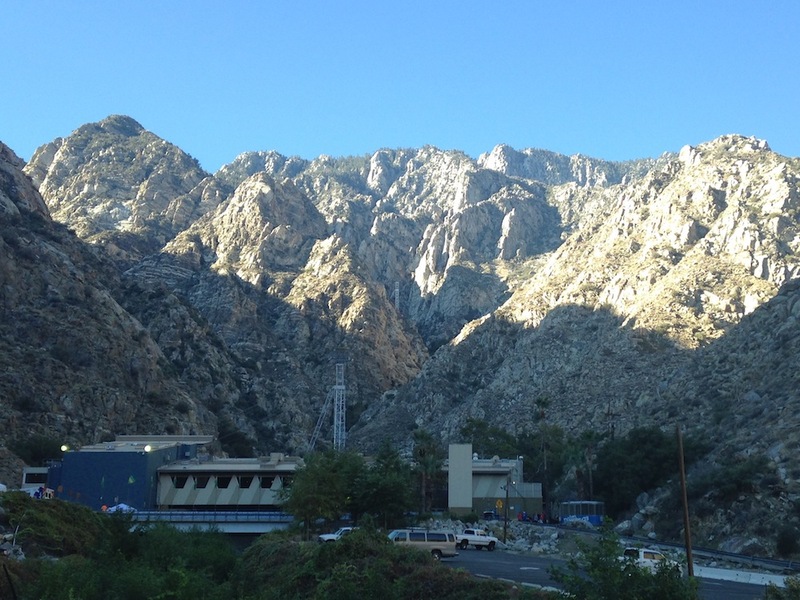 Tram refers to the Palm Springs Aeriel Tramway, which takes riders to the top of the San Jacinto mountains. There’s a road that leads to the Aerial Tramway base (pictured above), fittingly called Tram Road. That road serves as the course for the race. Tram Road isn’t overly long – only 6 kilometers (3.7 miles). But because the road leads into the mountains, the entire thing is uphill. Up, up, up. In fact, over the course of those 3.7 miles, there’s an elevation gain of 2,000 feet! Did you just get a queasy feeling in the pit of your stomach? I did, the first time I read that. I still kinda do, actually. I’m not a frequent runner, and since I’m a normal human being, I don’t like running uphill, nor am I any good at it. 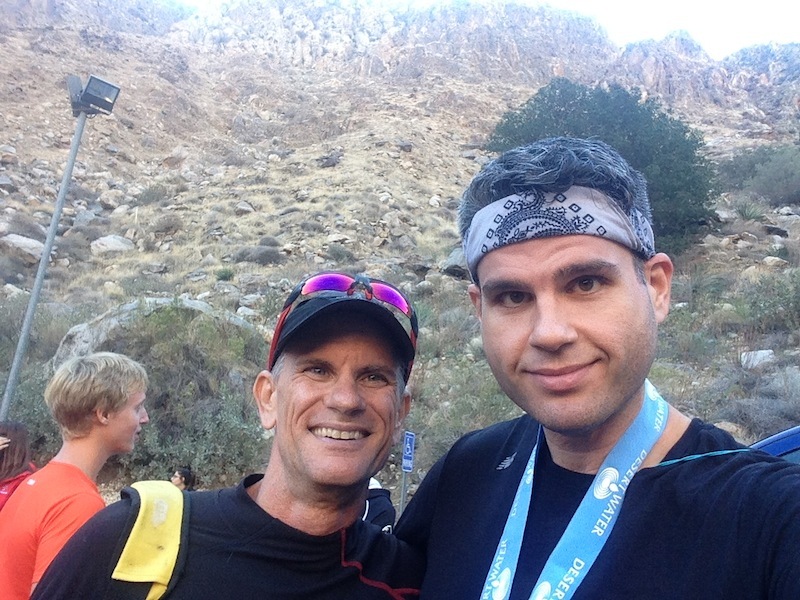 But my buddy Jeff is a big-time runner (uphill, downhill, flat, pavement, trails, loop-the-loops, etc. ), and he encouraged me to do it. Since everything about the race terrified me, I signed up. I like facing fears. Plus, it was a pretty low pressure situation. I’m in good shape, thanks to all the stair racing I do, but I couldn’t do tons of specific training for this, because I only signed up 10 days prior. Plus, I did a 5k a couple months back that had a huge uphill section, so I had an idea of the torture I was signing up for. So I decided to spend a little time doing some incline running during the interim, but nothing too intense, and then just see how it goes. I didn’t know if I’d be able to run the whole way, but I’d try my best. RELATED CONTENT: It’s Been 4 Years Since My Last Weekend in Palm Springs! 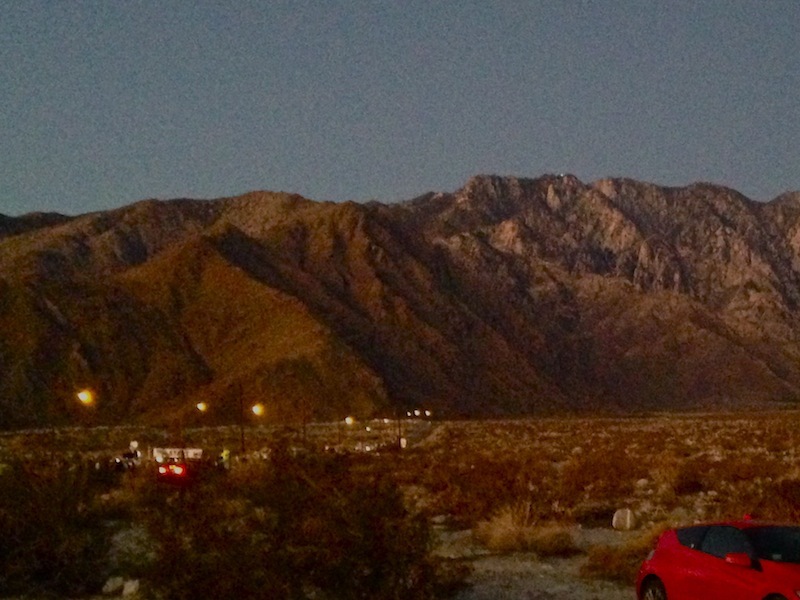 I got to Palm Springs the night before, and was able to drive the Tram Road before it got dark. This alleviated a lot of fears. The vision I had in my head was that it was a treacherous mountain road that I could fall off of at any point, like Cliffhanger on “The Price Is Right” (with switchbacks), and that turned out to be completely untrue. It’s a steady ascent, but the road is rather straight and open. It rises from the valley floor, into a canyon, around some curves, and that’s about it. No cliffs. No hairpin turns. It’s steeper towards the end than it is in the beginning, but the average grade is 12%. Remember that next time you adjust the incline on the ol’ treadmill! 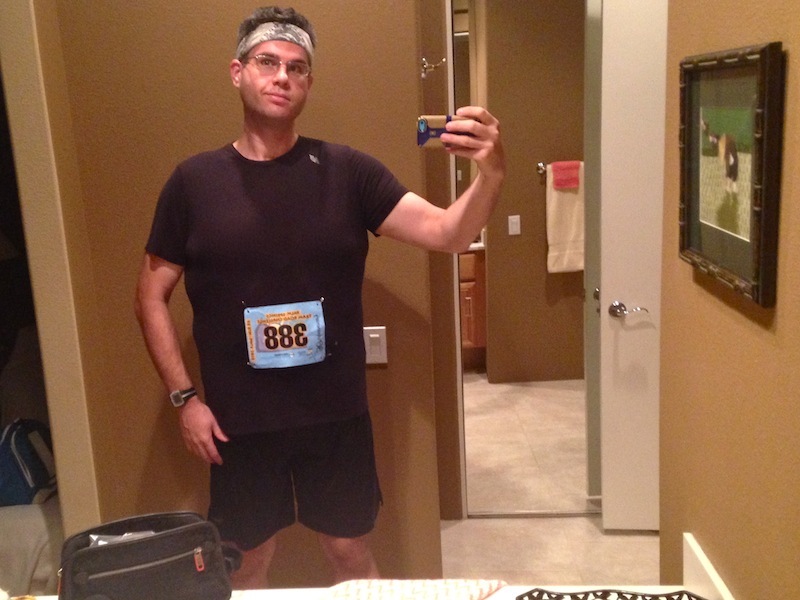 I don’t run on treadmills often (I prefer running outside – a perk of Los Angeles weather! ), but when I do, anything above 5% gets really challenging, really quickly – and that’s half as steep as this road. 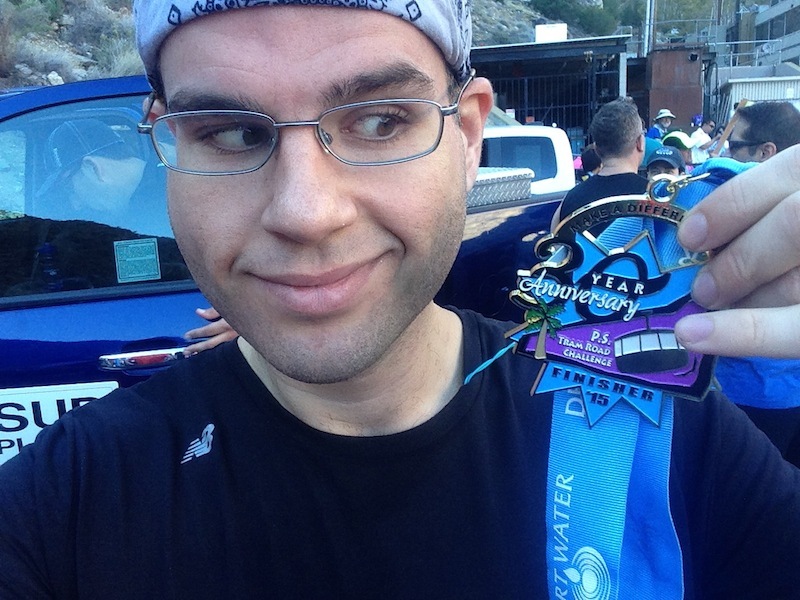 RELATED CONTENT: More Race Recaps – This Was My 13th Race of 2015! I left their house in darkness, but it was getting lighter by the minute when I arrived for the race. Lots of pretty colors at that hour! You can see the streetlights above the Tram Road leading towards the mountains. …and the huge crowd behind me. My plan was slow and steady. No hare, all tortoise. The race began and hotshots zoomed ahead of me. I resisted turning up the gas, and I’m glad I did, because I felt the incline as soon as the race began, and it didn’t take long for my legs to start burning. I had to remind myself to look up, and I was glad I did, every single time. 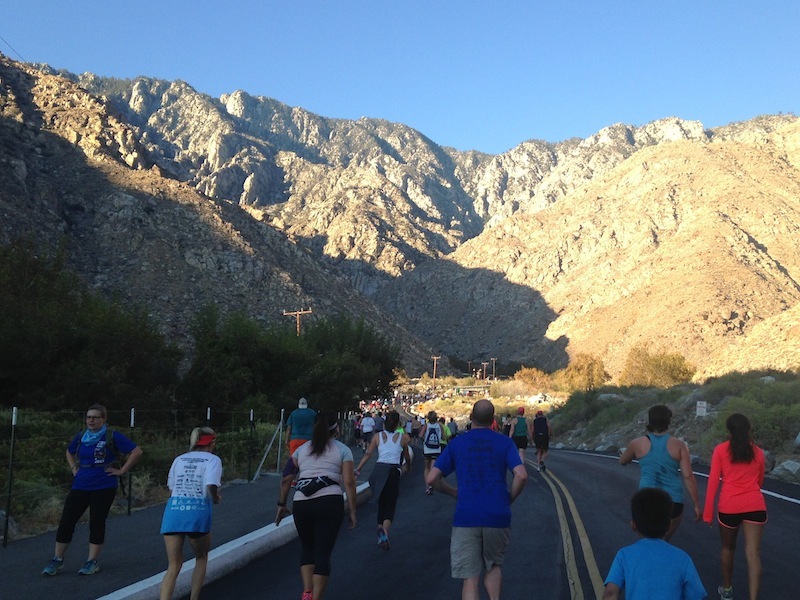 It was a stunningly gorgeous setting for a race, especially once you got into the canyon. While none of it was exactly pleasant, the final kilometer was the worst. It was the steepest section. Everything hurt. I kept my eye on this guy in a red shirt, perpetually 10-25 yards ahead of me, and told myself to rally and pass him. I never did, but it pushed me to keep going. Some oblivious woman managed to cut me off twice, and instead of enacting revenge and tripping her, I channeled that energy into my running, just a little bit longer. Mostly, though, I’m proud that I ran the whole thing. That was an outcome I wasn’t anticipating. And you know what? I’m proud that I’ve gotten myself to a place where I can sign up for horribly, terribly, awesomely difficult races ten days out and deliver a satisfying performance. That’s the result of years of work, folks, and loads of determination. Plus, I have some crazy inspiring athletes in my corner at these races. My buddy Jeff won his age group, and set a PR (it was his sixth time competing). Lucas, in the background (orange shirt), whom I first met last month, came in second place overall – winning $600. Yup. I work hard, I play hard. This entry was posted on Sunday, October 25th, 2015 at 11:28 pm and is filed under Uncategorized. You can follow any responses to this entry through the RSS 2.0 feed. You can leave a response, or trackback from your own site. Way to go David, you did it!!!!! Next year in PS… under an hour??! Hot tub will be waiting for you. Nice Job! It reminds be of a race in the CO mountains! Really proud of you, David! So glad you decided to go for it, and had a great race!